Eagle Tented Lodge has two restaurants, main bar, pool bar, wine cellar, swimming pool. Eagle Tented Lodge near Etosha National Park in Namibia has two restaurants, main bar, pool bar, wine cellar, swimming pool. When not enjoying the various safari activities on offer on your Namibia tour, guests can relax at Mystique Spa and receive pedicures, manicures, and massages at the yoga centre. 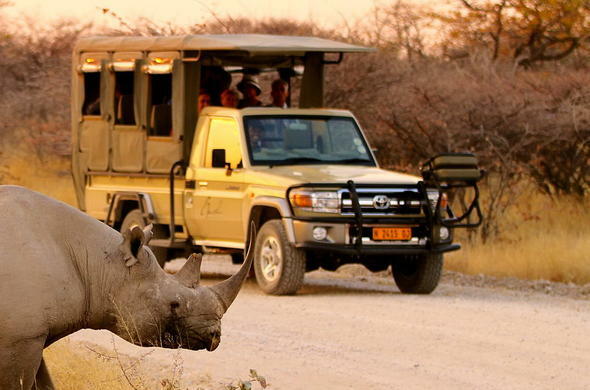 Well trained therapists spoil guests with treatments in the bush that will make your Namibia tour unforgettable.